Some things are meant for sharing and some things aren’t. When your audience is parents it’s not unnatural to think once or twice about what you might share. 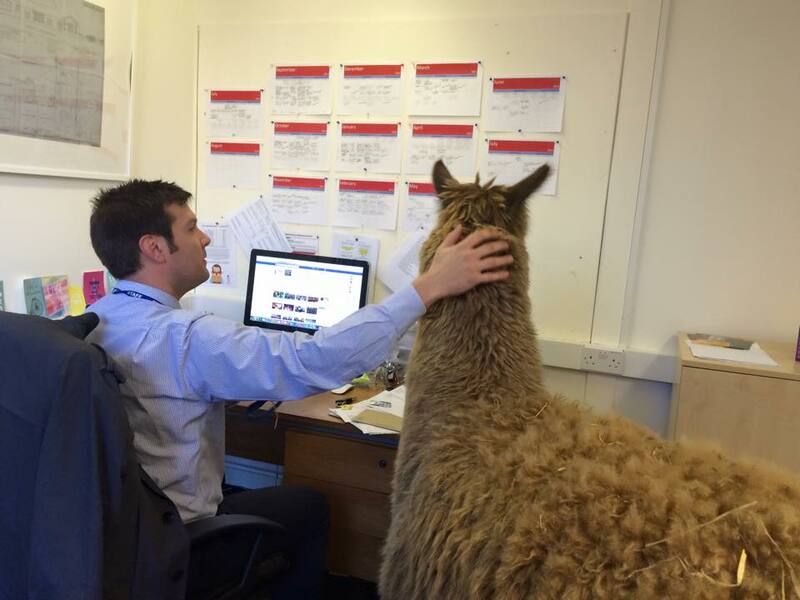 However, an Alpaca in the Head’s Office? No brainer. It makes “dog in the playground” seem very pedestrian. 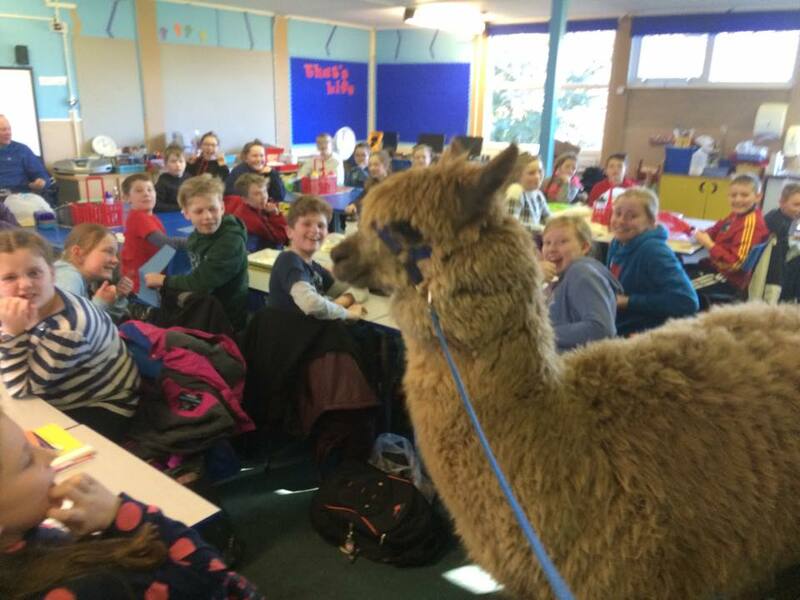 This Alpaca went on tour around the classes with the wonderfully Doolittle-esque Head Teacher Dave McPartlin and in terms of memories for the children you can only imagine them re-telling the day’s events when they saw their families later that day. Isn’t it refreshing that in the prevailing climate of risk avoidance and health & safety we have an ‘Ofsedicially’ Outstanding school prepared to take in large South American mountain dwelling creatures in the name of enrichment & probably a few other things too…including fun? On the face of it it’s slightly bonkers. Unconventional wisdom might say, do it then share it on Facebook the same day so that mums and dads might actually believe their children when they get home! Today that’s exactly what happened. Unconventional wisdom won and the response from parents at Heysham St Peter’s CE Primary was very good. By coincidence in the news two days ago another large furry mammal was spotted in London – specifically a Polar Bear. Wait. A massive polar bear in London down in the Tube (and later other places too) with small children? What could possibly go wrong? 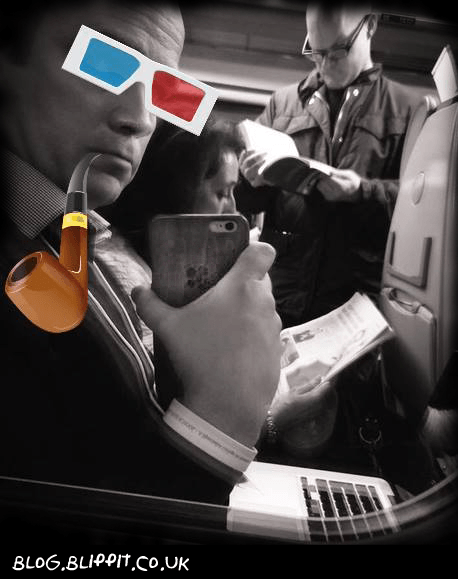 For me, social media engagement is about stories and in my talks round and about the place with groups of Heads that’s what I delve in to in more detail. Whether it’s stories about an Alpaca in the Head Teacher’s office or Polar Bears on the London Underground it doesn’t matter too much. Every person and place has a story to tell so why not share it? You’ll might be surprised at the reaction. Contact us for conference talks and workshops. The new app maker currently in closed BETA testing is getting a, dare we suggest it, beautiful overhaul of how user admin is handled. 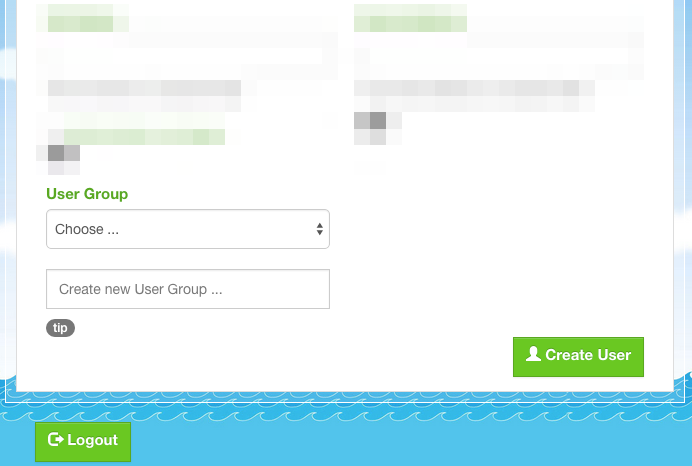 Having played tonight with the new interface and features first-hand I can say that it makes admin almost a pleasure. We’ll be unleashing the new app maker for general release really soon so keep your eyes peeled if you’re interested in seeing the new incarnation. 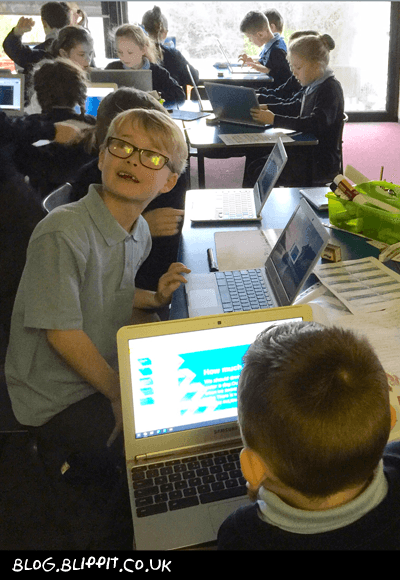 In the meantime don’t forget our new free publication for primary year 6 computing in support of app making. 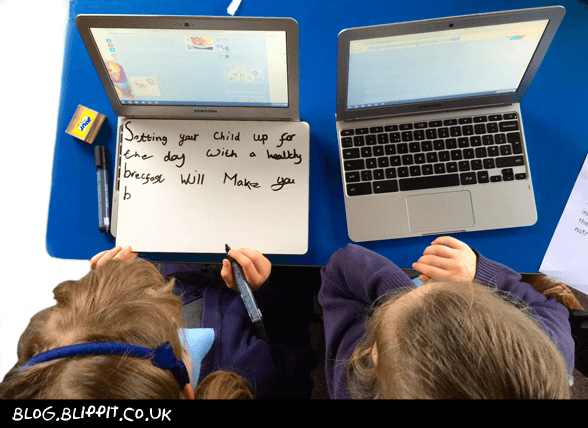 Yesterday, thanks to a random tweet about Chromebooks by Green Park Primary computing lead Pete Rafferty (@Raff31), I had the great pleasure of spending a morning there with the children, teachers & Head Teacher Mrs Hains. technology is often seen as an isolator of children; a shutting down of a child to those around them. 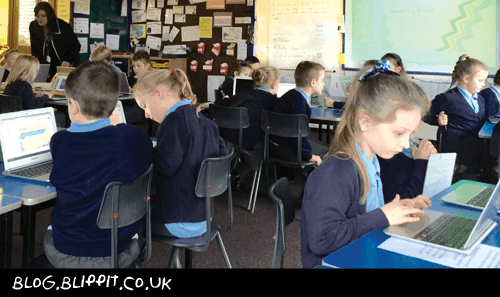 Not so particularly in the Year 3 lesson. The level of conversation leading to division of labour and ongoing review of improvements was really quite special. risk taking is a gradual process but clearly the Head has, with teachers, nurtured a culture with Pete where mistakes can happen but that’s life and so long as they’re learned from that’s fine. The lesson is not to not take risks again. Miss Lewis-Brown (Yr 3) was the guide on the side not the sage on the stage. Capturing notes on her iPad during the lesson and I believe filing them away using Evernote it was pretty inspiring that though the technology was so conspicuous it wasn’t the star. By coincidence the BBC published a story today about a campaign by employers that puts a value of £88 Bn on soft skills. Food for thought. Log in to the app maker the easy way. 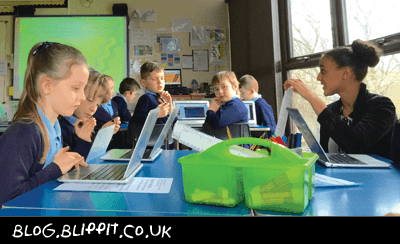 We were looking for teachers & teaching assistants to bend our BETA of the upcoming brand new app maker from Blippit. This January 2015 there will be 10 new schools with whom we’ll share what we’ve learned from working in the powerful area of social parental engagement. Our network of socially savvy schools and families is ever growing. If you’d like to know more about answering the “so what?” question do drop us a line and we’d be happy to help whether you have an existing social presence or not.